David Atkins graduated from St. Martins School of art and Winchester School of Art. The tradition of landscape painting has always been at the heart of David's drawing and paintings. David works directly from the environment, often revisiting places many times and in ever changing weather and seasons. His paintings have been inspired by his immediate surroundings as well as his travels. Visits to New York, Europe and Ireland have resulted in a series of larger paintings that also aim to capture something of the essence of place. 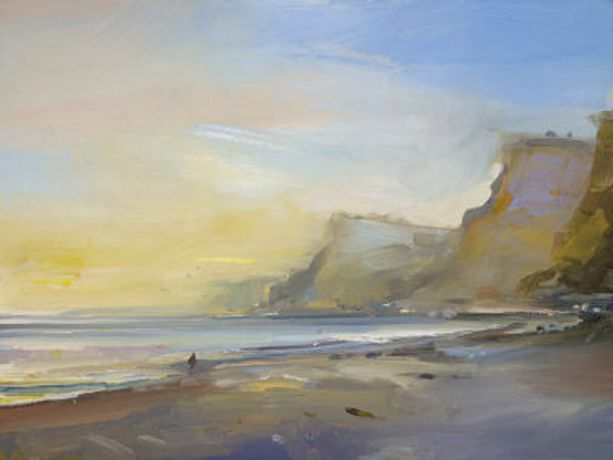 This new collection of coastal paintings describes the varying seasons of the beaches on the Dorset coastline.